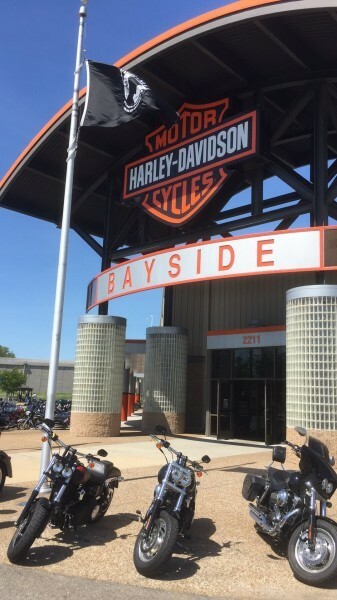 Thursday 13th April 2017 my colleagues Karsten, Kasper and I ready at Bayside HD which is located in Portsmouth, Virginia aprox 40 minutes drive from Norfolk on the eastcoast of USA. 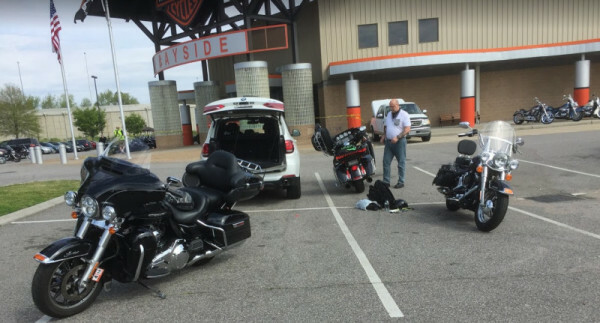 Experienced from earlier rentals, we showed up well before 9 am which is the official opening time as to be ready for an extended week-end with some rented Harley Davidson motorcycles. As usual there are a lot of papers to fill in and sign and check of the motorcycles for damages. 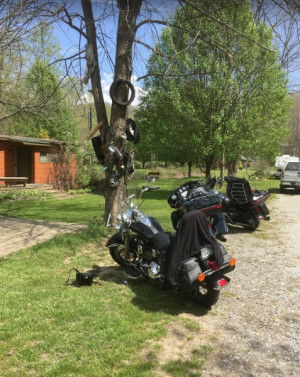 We have earlier experienced that even all details are sent on e-mail prior the rental, it takes easily 1½ hours from you show up in the shop until you get the motorcycles and are ready to hit the road. 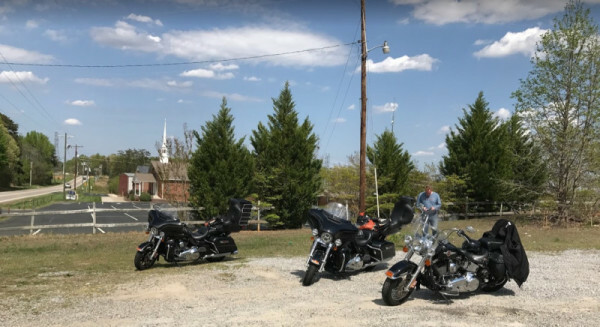 We left Bayside HD approx 1030 and in order for us to be ready for both Wheels Through Times and Tail of the Dragon we had to ride from Bayside HD to Maggie Valley on day 1, which is a ride of approx 500 miles (800 km). During the ride we made a fuel stop on a local gas station, where an elderly guy tried his best to entertain us with an apparantly very funny story - of which we did not undertand a single word. We did our best to nod, smile and laugh on the right places in the story, which seems like we did succesfully, as he appeared very satisfied afterwards. Besides this we made only one stop for fuling, why we reached our destination at 8 pm with a sour bag, as this were our first ride this season. The ride itself to Maggie Valley were peaceful, but again we got surpriced that motorcyclist get overtaken by large trucks - both on right and left side. We drove absolutely to the limit of the speed limits. The ride itself were planned to avoid as many interstates as possible and only ride the highways. 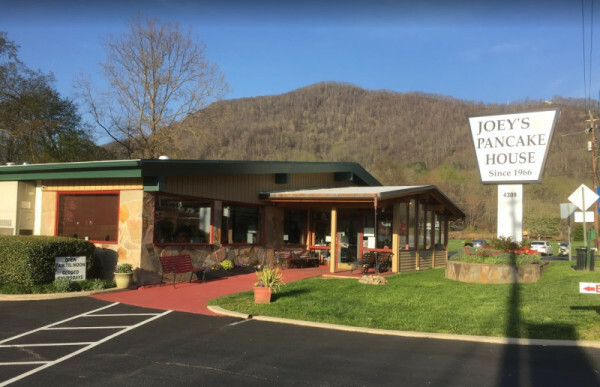 My colleague Karsten participated earlier in a rally at Maggie Valley, why he pre-booked some rooms at the same place he stayed earlier at ”Our Place”. This is not a new place in mint condition, but it is compensated by the very friendly hosts and the rooms were both clean an cheap - 75 USD. 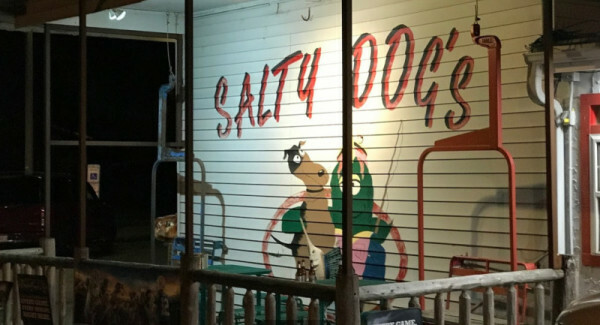 After a well deserved "Arrival beer" we went down to the local restauran in the neighbourhood which were recommended by the landlord: Salty Dog's Seafood & Grill. The place were not flashy but the service were friendly and the food were cheap. 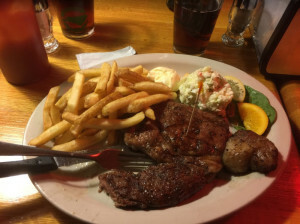 We paid USD 22 for a 16 Ounce (450 gram) steak, sidedishes and a beer. After this humble dinner all of us were ready heading back to the rooms for a good night sleep after a long ride. 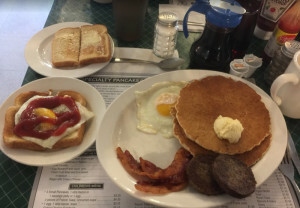 The breakfast we enjoyed at Joey’s pancake house, where the menu - of course - were pakcake's and sidehishes. The restaurant is still run by the same lady who started the place 51 years ago with her husbond. After the breakfast we drove to Wheels Through Times to see some of the old american motorcycle. The museum is not a typical place where all items in the exhibition looks like it was brand new, in return you can spend days watchin the old non-restored Harley Davidson. Many of the exhibition items maby looks worn our, but they are preserved and they are functional. While walking around the museum you might see the owner Dale also, and if you show some interest in a specific vehicle it gets started. Several of the old motorcycles are used by Dale for smaller rides and when he participate in veteran rallies. The employees can answer litteraly any question you may have for the history and functionallity of the exhibited machines. 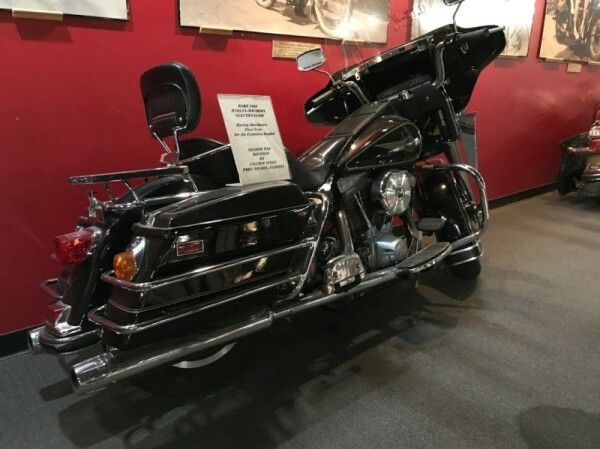 At the museum we even saw a motorcycle similar to mine which is a 1980 Harley Davidson FLT Tour Glide, almost fully identical. 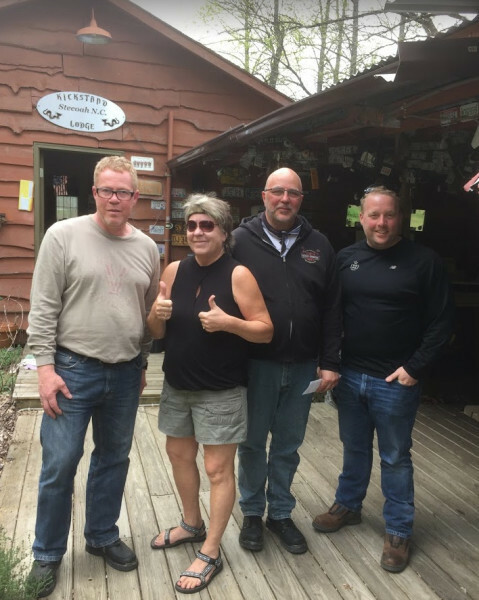 After the museum the ride went to Kickstand Lodge, which is a motorcycle camp site which are very well known by the Harley Davidson Shovelhead riders. 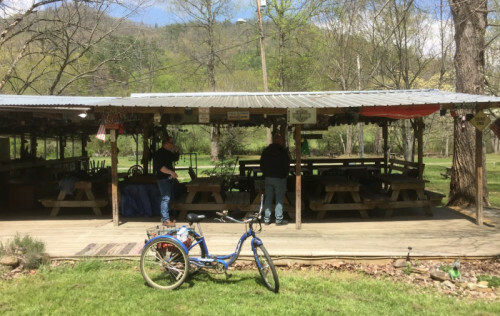 The Shovelhead forum shovelhead.us often use the location for a gathering or a party - but all are welcome. The woman running the place is called MO and is a legend, why we of course had to get a photo taken together with her, and as we now knows MO we got a sticker with the text "I know MO" and had our names written on the woodwork covering the terrace. 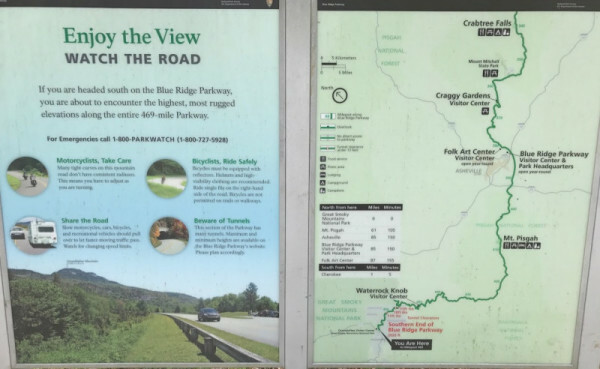 We were recommended one more ride, ”Cherohala Skyway”, why we decided to go for it and add it to our plans righ after Tail of the Dragon. We rode first towards the original tour, Tail of the Dragon where we arrived at the starting point. Anyway, we had to wait a bit as a rain shower had to pass us. This was a quick one and now we got onto the 11 miles with 318 turns. We had a speedy approach, but had to use the breakes occasionally as the speed limits and recommendations varied a lot - down to as low as 15 miles (25 km/t). Some of the turns were sharpe and one of the Harley's god the footrest into the tarmac which resulted in a rear wheel were lifted a bit. Hereafter we headed for Cherohala Skyway which is a 40 miles long route, built in 1996 at a cost of 100 million USD. It was a scenic ride taking us up to 5400 ft (1650 meter) height. As usual we started in a thin sweater as the temperature again were above 30 deg. C, but on the way up to the 5400 ft the temperature dropped down below 10 deg. C, why we had to take the leather jackets on again. We did not use the leather jackets much on this tour except in the morning, until the sun heated us up. 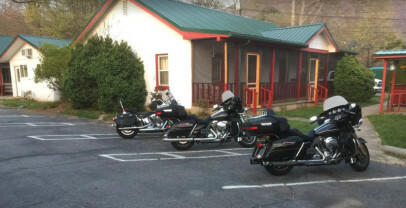 We agreed to head for Bryson City so we would be ready for the Saturday ride, which is the Blue Ridge Parkway. 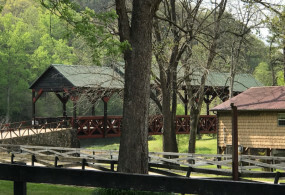 We arrived Bryson City around 1930 and just took a place to spend the night. 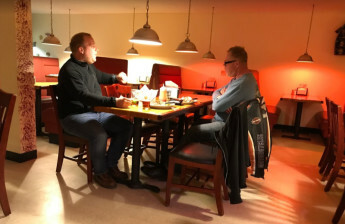 The rest of the evening we spent with beer and a visit to a italian restaurant, whereafter the ride of the day and the impressions hit the body - and we went early to bed. We had an early breakfast so we were sure having sufficient time to the planned ride Blue Ridge Parkway. It is a ride of 469 miles (755 km) which will take us through the states Virginia, North Carolina and 29 Counties. 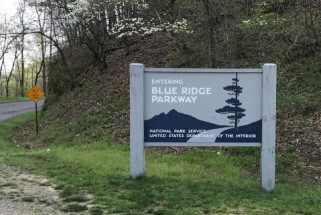 Blue Ridge Parkway is an incredible beautiful route, where there are views to the mountains on majority of the route - often on both sides of the road. If you keep an eye on the wild life you might see anything from squirrels to bears. The ride started ay 9am and we arrived our hotel in Toanoke at 8 pm, so including fueling and breaks for taking photos we were on the motorcycles for 11 hours - and we were pretty tired. If you like mountains, nature and turns, then the route can be recommended to all who get the possibility riding the route. As we all were pretty tired we took a cap to the city center of Roanoke, where we found a local restaurant and had our dinner. Hereafter we all just wanted to go to bed. Again some early breakfast on the Holiday Inn Express in Roanoke before the route took us back to Bayside Harley for handing in the undamaged motorcycles. Again we did our best to avoid interstates and headed for the highways. 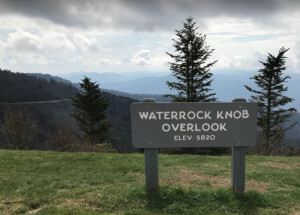 As we had reached Roanoke which is at the end of Blue Ridge Parkway we only had 240 miles (389 km) left before our week-end ended. Total riding distance ended with 1609 miles = 2590 km. If you ever have the opportunity going to the east coast of USA you will find many great possibilities for motorcyclists. 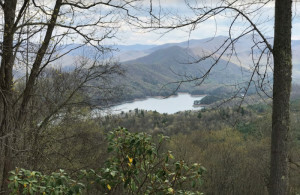 There are a countless number of routes - both flat and hilly - so both tourning riders as well as motorcyclists who love turns can have their dream come true. Planning a compresset program as we did, and you are same age as us - approx 50 - you need to be prepared for a sour bag and many other strange muscles - but it is worth is.